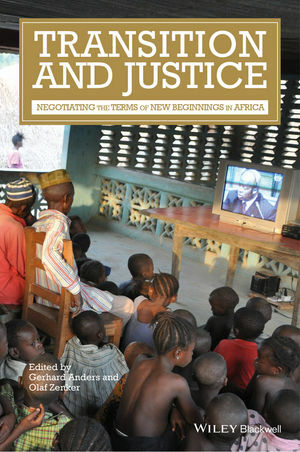 Transition and Justice examines a series of cases from across the African continent where peaceful ‘new beginnings’ were declared after periods of violence and where transitional justice institutions helped define justice and the new socio-political order. Gerhard Anders is lecturer at the Centre of African Studies, University of Edinburgh. He has conducted research on the implementation of the good governance agenda, international criminal justice and transitional justice in Africa. He is co-editor of Corruption and the Secret of Law: A Legal Anthropological Perspective (2007) and author of In the Shadow of Good Governance: An Ethnography of Civil Service Reform in Africa (2010). Olaf Zenker is Junior Professor at the Institute of Social and Cultural Anthropology, Freie Universität Berlin. He has done research on Irish language revivalism and ethnicity in Northern Ireland and currently studies the moral modernity of the new South African state in the context of its land restitution process. He is the author of Irish/ness Is All Around Us: Language Revivalism and the Culture of Ethnic Identity in Northern Ireland (2013) and co-editor of The State and the Paradox of Customary Law in Africa (2015).